Meaning "my heart" in Arabic, Elby is the bakery that I started out of my home kitchen. My goal was to recreate the warmth of Lebanese culture, which is centered around food, after moving away from home. 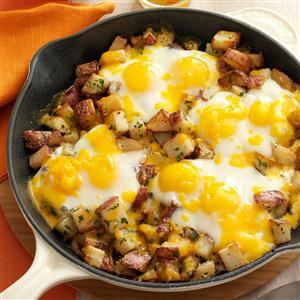 This Baked Cheddar, Eggs, & Potatoes recipe to a was published in the Taste of Home Magazine (Dec/Jan 2013). It currently has a 5-star rating on their website. No formal culinary education, but a passion for creating art in the kitchen.